Tag Archives: is fiction autobiographical? 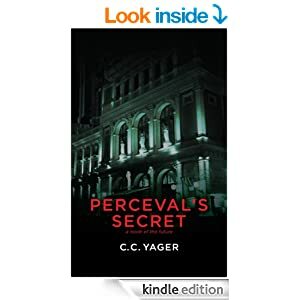 Nothing could stop me from writing Perceval’s Secret in the end, although it went through several versions and there were some large chunks of time when life demanded I focus on life rather than writing. When I was proofing the e-files before publication, I saw certain elements that I realized came from my own life and I would not have been able to write about them without my life experiences. But they are also not me in the novel . All through my writing of this novel, I was meticulous about insuring that none of the characters in any way resembled real people, including me. How did I do that? Well, it’s all about revision and research. Once the first draft was done and I could see the story as a whole and who the characters were, I went through it and noted questions I had about the characters as well as locations, technology, etc. Evan was a primary focus as the main character, but I also did some research about intelligence agencies (Bernie Brown) and the Austrian police (Klaus Leiner) and how Austria would respond to Evan. I knew little about the life of a conductor, only what happens when they step on the podium during a concert. So I spoke with the people who worked with them as well as conductors themselves, and I did a lot of reading. I went to orchestra rehearsals to observe how conductors actually work with an orchestra to prepare a concert. And I even talked with people who knew conductors on a more personal level to get an idea of just who they were as people and how they approached music. This research took several years, and I did another round for a year about 10 years ago. I had a special concern that no reader would mistake Evan for some famous American conductor. And then after the research, I began revising and Evan took over, as characters usually do. Once I had all that information from the research in my head, he could show me the kind of person he was, his flaws, his strengths, his dreams, his vulnerabilities, his fears. He showed me how being a conductor was a way of life, not only a job. It takes absolute dedication and drive to achieve any kind of success. He showed me what he thought of his life’s circumstances, the pain within those circumstances, and his denial. I had set out to write a villain as the main character of my novel, but I found that even though Evan may do awful things, he’s not evil. That raised the question: what or who is evil in this story? Although I began the story thinking that Evan would be the evil villain and I wanted to explore why he was that way, I failed in making him the evil villain because he revealed his humanity to me as I worked on revisions. Attempting to make Evan Quinn the evil villain was one of my tactics for making it clear that he was not me. When I look at him now, I see a separate personality, a separate person who’s unlike me. The aspect of his life that comes the closest to my experience (but does not recreate it) is his PTSD and his emotional pain. What has been revelatory for me is the way in which Evan has handled his PTSD and emotional pain so far, and how that affects his behavior and perspective of the world. Maybe it’s only natural to want a glimpse behind the curtain. Fiction is a magic trick of sorts. But at its best it doesn’t just conjure up an imaginary world; it makes the real one disappear, it makes the author disappear. Only a book can do this — let you lose yourself so completely. So, if you can, forget about everything else. Just be there with the book.